Your gift helps people like Janet. Janet is a "giver". We all know someone like her — a person who always gives her time, her energy, and her heart to others, often with little regard to her own well-being. In Janet’s case, the “others” are the children that she has taken into her home. After raising their own children, Janet and her husband adopted Janet’s nephew, who needed a stable, loving environment. A few years later, Janet’s husband passed away from cancer, leaving Janet to parent the young boy alone. Shortly thereafter, Janet’s daughter left her three children in Janet’s care. Janet’s only support was her mother, but then her mother died and Janet took her mother’s adopted son into her home as well. That makes five children that Janet is now parenting. That’s five children who have all sorts of emotional issues stemming from the loss of each of their parents. That’s five children that Janet loves and has been caring for as her own, on her own. Fortunately, Janet is no longer alone. She has you and she has Cornerstone. 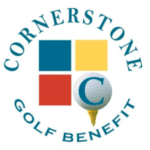 Thanks to you, all of her children are receiving counseling and casework services from Cornerstone to help them deal with their grief, anger and sadness. Thanks to you, Cornerstone is there to help Janet as she navigates complicated medical, educational, and legal systems in order to help the children become healthy and happy. Thanks to you, Janet has learned to trust again. She knows that she is not alone as she gives her love, her time, and herself to keep this family together.